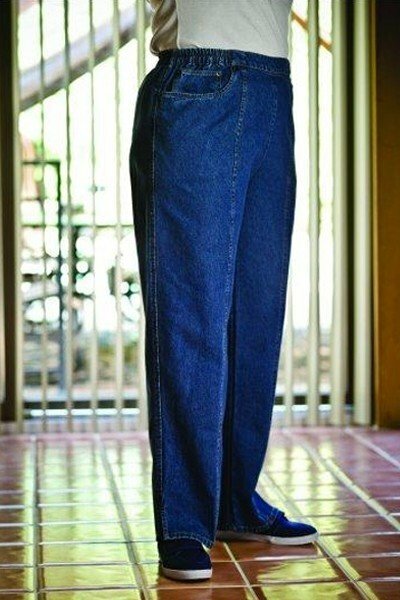 At last, the perfect pair of ladies jeans! Our comfortable jeans are cut from either 100% cotton or a soft cotton / polyester blend fabric for maximum comfort. These great jeans feature an elastic waist band and convenient side pockets.